This week’s commemoration of Australia’s Vietnam War (hanging off the 50th anniversary of the Battle of Long Tan) underlines that history is made by those who turn up. This applies to the remembering of history – Honest History’s ‘Australia’s Vietnam War’ series shows that the received versions of the stories of Agent Orange, Long Tan and the repatriation of Australians from Vietnam have all been distorted by the vigour of advocates – but also to history as ‘what happened in the first place’. 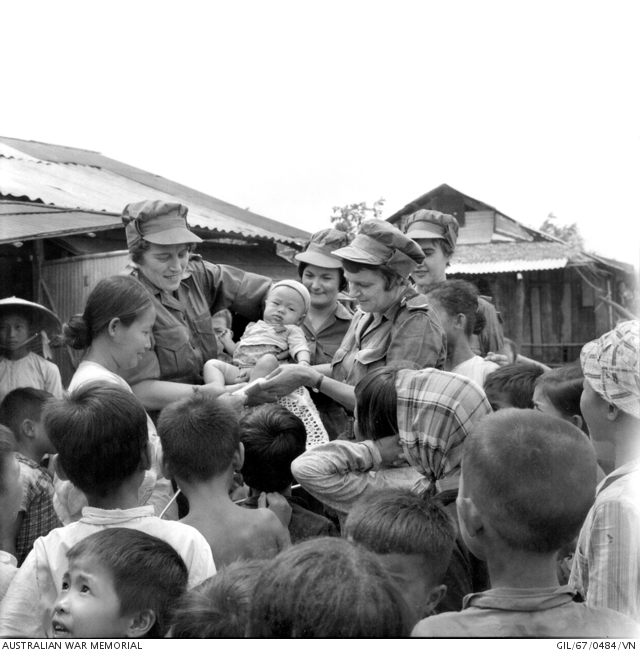 The contribution of Australian nurses in Vietnam, though, is one case where those who helped things happen in the first place have not been sufficiently recognised in the writing of history. History as it has come to be written has dropped a cog and left things out. Until now. Annabelle Brayley has written Our Vietnam Nurses, an absorbing account of the role of Australian nurses in Vietnam and Pamela Burton reviewed the book recently for Honest History. These compelling stories help us to understand what went on in Vietnam [says Pamela Burton]. They don’t answer our questions of why we were there or what we were trying to achieve in the longer term. What has changed? Australia still sends its troops and nurses, men and women, to other countries’ ghastly wars. Our Vietnam Nurses demonstrates that, whether war nurses believe in a political cause or not, they will give their life for others, acting selflessly in the moment of compatriotism. A key reason why loud voices trumpeting a particular version of history tend to take over is because those who have the evidence for a different version are too polite. They keep their heads down and the received version expands to fill the space available. There are lots of war stories that don’t include the whiff of cordite, the flush of testosterone and the clank of combat medals, although they still involve close and lasting contact with horror. Yet the Governor-General, in two speeches yesterday, and the Prime Minister, in his speech, did not once refer to our Vietnam nurses.